MAD-news for August: Let your passion drive Back2School! A few weeks ago I was invited by my dear friend Gina Ward to her school’s 10 year anniversary and reunion. Gina hired me as her first teacher assistant at Carlisle Montessori School all those years ago and I was so honored to be back there celebrating 10 years with her, the kids we taught (who are now almost as tall as I am), the parents we partnered with, and the memories we created. That year was special in so many ways, but most importantly because it solidified my love for educating every child and my desire to be involved in supporting our education system. As you come back to the new school year this month, remember why you entered education in the first place and let that energy drive your passion forward. Our kids deserve your BEST! And so begins another school year. We hope you had time over the summer to relax and recharge. Perhaps you have even had some time for some professional development. No matter what subject you teach or the students in front of you, you make an incredible difference. We at MAD-learn invite you to share a resource with your parents to help get more than a simple “OK” out of their children when asked how their day was. Your questions can be: “What made you smile?” or “What did you do that was creative?” These are just two from a list of 50 found here. Check it out and share with your families! We’ve been busy the tail end of summer! 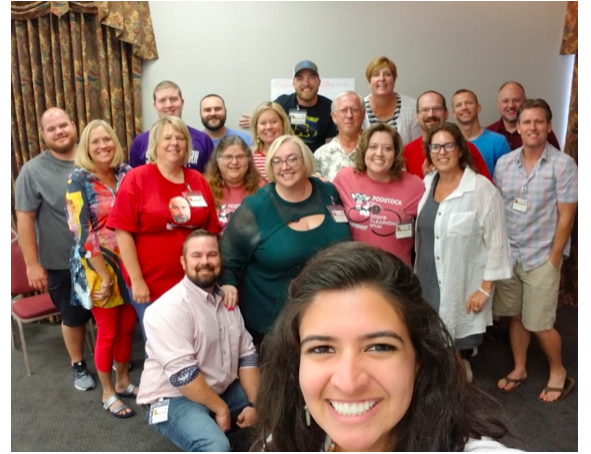 First, we were invited to lead a entrepreneurship and future world of work workshop at Podstock in Wichita, KS (big shout out to Kevin Honeycutt and Ginger Lewman for the AMAZING work they do there). 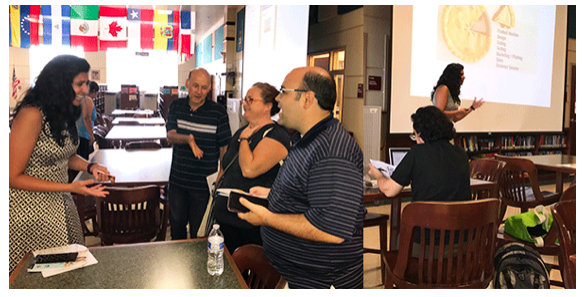 Next, we were invited to present to CTE teachers at Palm Beach County’s Back to School event (big shout out to Tony Asci and Moise Derosier for their vision and support) to get them interested in and excited about MAD-learn for the upcoming school year. Such great people. Such good times. Once the new school year begins, you will notice a new organizational system for your curriculum materials. All Elementary and Secondary resources will be accessible on the MAD-portal in the form of Google files that can be viewed directly or downloaded for customization and reformatting into Microsoft Office files. The files are arranged in an order that will make it easier for you to find what you need, be it core elements, tutorials, enhancement activities or background information. Let us know if you have any questions as you look through this! 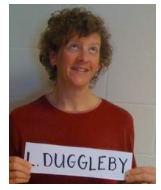 Leslie Duggleby is an Instructional Technology Coach at the New Lewis J. Bennett School of Innovative Technology and teacher for the Research Laboratory High School for Bioinformatics & Life Sciences at Buffalo Public Schools in New York. Her job involves showing teachers and students how technology can be integrated into the curriculum in order to boost student performance. She is, naturally, dedicated to her students. Combined with that is her dedication to asking and answering questions about what technology can do for her students. She is always looking for ways to incorporate new tools, as well as taking existing tools further. Such has been the case with MAD-learn. Leslie saw the potential benefits of using MAD-learn from day one of her introduction, and even created a tutorial to expand the use of one of its templates within days after her orientation. Her tutorial showing students how to add multiple plot points to a map is a great example of her work to keep her students—and MAD-learn–moving forward! …helping us improve MAD-learn! We need YOUR input. MAD-learn is here to serve students around the world and we can’t do that without YOU! Our aim is to create opportunities for students that are effective, efficient and easy to implement, to satisfy your needs and help you attain your goals. 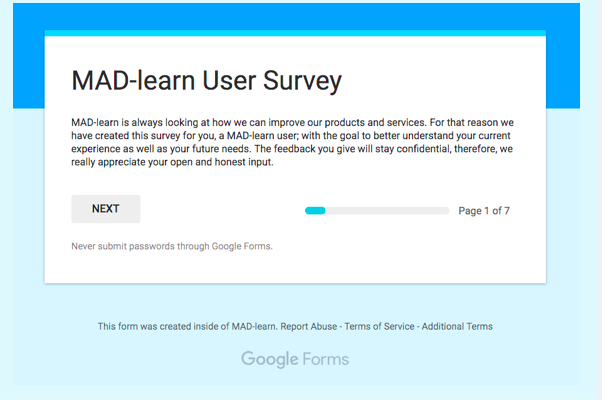 We have created a small survey to help us learn more about your experience when using MAD-learn and how we can make this experience exceptional. The survey has just a few questions and will only take you 3-5 minutes to complete. Please help us help you by responding to the survey TODAY. Click here. MAD-news for July: We need your input!